I used to dislike Lena Dunham simply for the fact that I was utterly and completely jealous of her. I wanted to disapprove of her so badly, so I made myself. I became the person I despised: the woman who enjoys tearing down other women who are more successful than she. Let me start by saying, I still think Tiny Furniture is a mediocre film, and I have only seen a few episodes of Dunham’s hit show, Girls. I’m neither a big fan of nor a connoisseur of her career, but what has made me change my mind about her is who she is as a human and a woman. 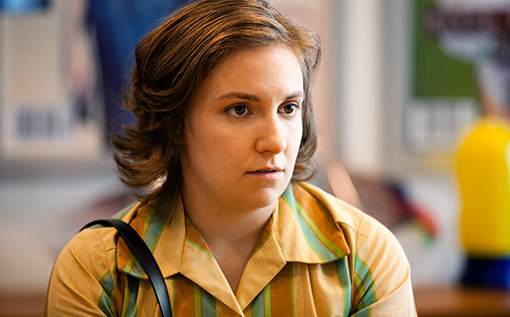 Unlike the majority of young actresses who have found success in their early years, Dunham takes nothing for granted. She is using her newfound spotlight to be advocate for the many social issues she is moved by. And though I disagree with her suggestion that being born from wealthy and connected New York-based artists didn’t play at least a minor role in her career, I do think that she has used her perch of privilege for social good (read my previous rant about children of celebrities and their lack of creativity in career choices). When I researched Dunham for this post, I was not surprised to see mostly impassioned diatribes written about her both from publications and commenters (Gawker needs to take some happy pills). It reminded me of the same hate millenial Emily Gould recently faced. As a society, we cannot handle successful young women who benefit from taking a mirror to themselves and reflecting it back to the world. In Dunham’s case, nobody wants to see a privileged white girl from New York City achieving fame. The cards were already in her favor, and her meteoric rise just didn’t seem fair. How many young, talented people without money or connections will never have their work seen by a larger audience because of their unfortunate placement? And it also doesn’t help that the media has put her on a pedestal, leading society to believe that she must be perfect. Dunham is indeed not perfect, and she most definitely doesn’t paint herself as so (she is very open about her flaws, anxieties and quirks). She is not conventionally beautiful, she is not thin, she often wears ill-fitted clothing and no makeup. She is who she is, and she’s become successful for that. We should be celebrating this rather than critiquing her for what she is not. In an Indiewire article picking apart the aforementioned New York Times Magazine, a commenter suggests that Dunham will not be remembered in 50 or 100 years like Woody Allen. Two years ago, I would have agreed, but now I don’t believe that to be true. Yes, she and her career are still young, but Dunham is smart, and unless she has an epic meltdown, I feel that her career and public persona will evolve in refreshing ways. Though you may not seeing me running out to read or watch the next creative object that Dunham produces, and I won’t go as far as to agree with publications that trumpet Dunham as the “voice of her generation,” I do think Dunham is a voice offering smart opinions and articulate answers. And we need more people like her. This article got me thinking… when celebrities who appear to have had it relatively easy, due to early luck, art-world connections, etc. bother us, it’s usually because they appear to be full of themselves and not sharing the wealth, so to speak. I get the feeling that maybe, early on, Lena Dunham was more narcissistic, but now she really does want to use her power to help other entertainers who lack her good luck. And that’s great. Great post. I am actually a total fangirl when it comes to Lena, but I respect your confession. 😉 And I agree that she is not THE voice of our generation, but she’s certainly one to remember. I like Lenah Dunham. A close friend recently told me that he “hated” her, but he’d never seen or read any of her work. I could tell that he was basing his opinion solely on how she looks, speaks, and how the stupid web sites he visits might poke fun at Dunham for simply not being, say, Olivia Wilde. Anyway, my friend’s attitude is nothing new. There are tons of people who say they hate Dunham but have never seen or read any of her work. It’s almost as if they see her as a threat to … something. But I guess a lot of us can relate to that unfriendly attitude. People hated me in high school for dying my hair blonde and, I dunno, scribbling on my Chuck Taylors. Some folks just find the most inoffensive things, like benign fashion choices, offensive. And some people aren’t ready to accept a smart, self-possessed, person in the media/entertainment/literary world who is as honest (in every way) as Lenah Dunham is. I think I get your feelings about her, and I’m happy to see you writing so honestly about them. I just thought I’d comment, since my pal made his comments on Dunham just yesterday and I was like, *snore*. Gah! Embarrassing typo in the first sentence. So … edit, I guess.